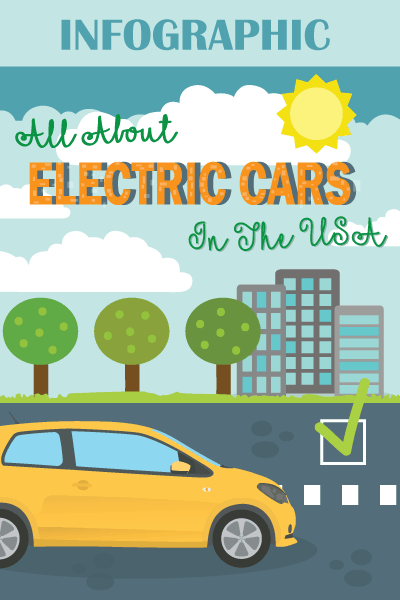 Whether your car is on the road or inside the garage, your first concern is Safety. While the former is taken due care of, the later is most often not given due attention as demanded by it. 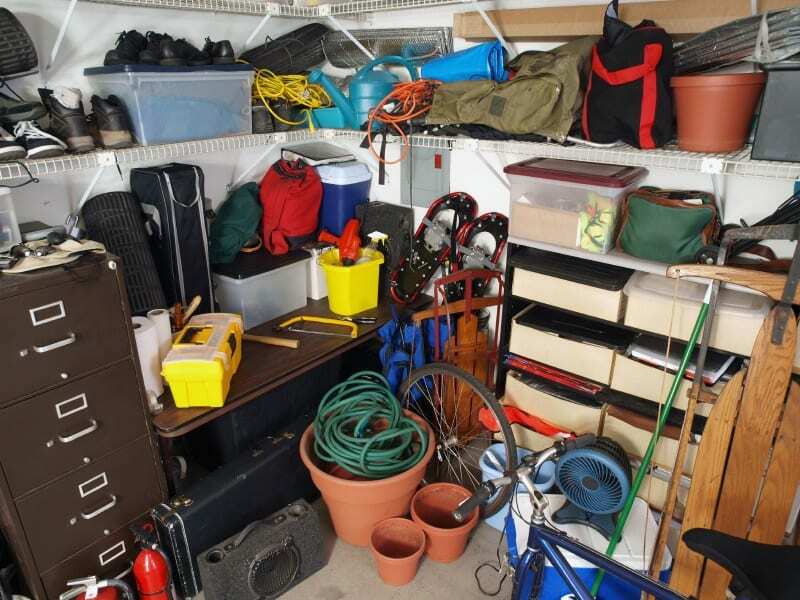 Besides housing the car, the available space is utilized for storing assorted hazardous substances like fertilizers, insecticides, gasoline, tools and implements, flammable substances, cans, and bottles. Consequently, dangers and hazards are invited for your car, your kids, pets and all those who enter into your garage. 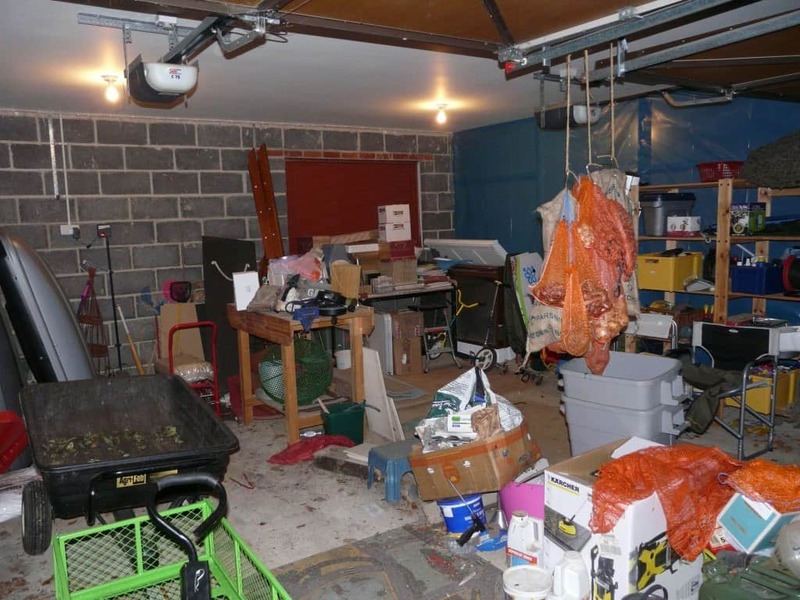 It is therefore essential that you understand the basics of garage safety. The following are the essential tips in this context. If the stairs in your garage are not marked, chances of slips and falls increase significantly. Put strong handrails on both sides of the stairs and put reflective tape on the edges of steps, so that they can be seen, both day and night. 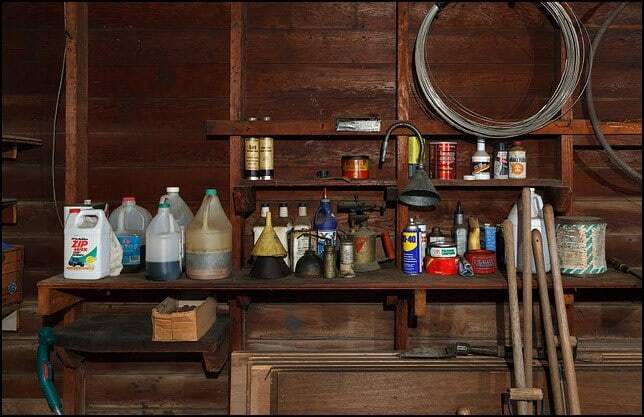 Sometimes you may store the automotive fluids, paint thinner, or paints in a haphazard way. Worse is if you keep harsh chemicals in old food containers or soda bottles. Some chemicals may erode the mismatched containers and cause leakage of fumes or liquids that may cause accidental poisoning of pets, burns, fire hazards or respiratory problems. In case you are going to take up the painting work of one or two cars inside the premises of the garage, you must extinguish all flames; including the pilot lights before you start spraying. The natural gas water heater is the best example of pilot light. If you don’t extinguish them, the atomized paint can explode by coming in contact with an open fire, and the flame can quickly spread inside or even the outside spaces. Even if you use a hydraulic bottle jack or a floor jack, you can’t be 100% sure of the safety. Therefore, if you are working under your vehicle, supplement the jack with a set of high-quality ramps or a good quality axle stand. The battery contains toxic fumes and extremely explosive acid. When you are charging the batteries on a work bench, you should be alert to the sparks and open flames; even from the live cigarettes. The acid may be scattered on you if it explodes. 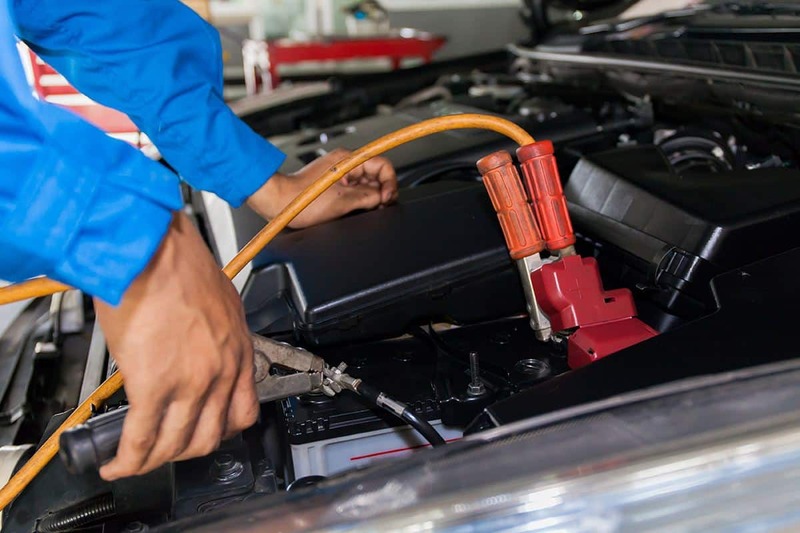 The radiator of your car is under the high pressure of 15 psi, and the temperature may rise above 123 degrees Fahrenheit. In case you crack open the radiator cap, the hazardous content of the radiator may fall upon you. Therefore, allow the temperature to cool down naturally to a lukewarm level. For opening the cap, make use of a soft towel. If you find any steam dissipating, wait for some time before you start to open the cap. 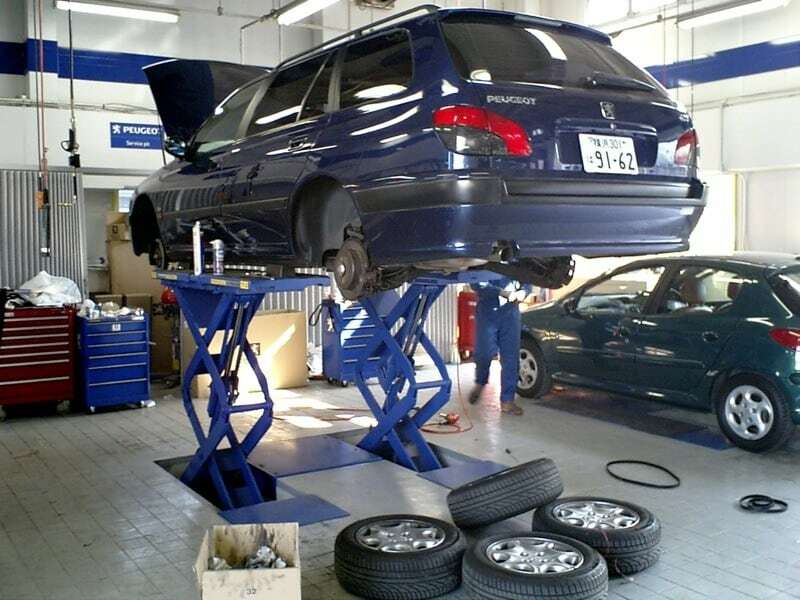 A vertically leaning ladder may tip in and damage your car or may even hurt the passerby. Moreover, finding it vertically stand in, children may be tempted to climb on it or play on the rungs. Therefore, always keep the ladder in its horizontal position, leaning against the wall. You may also hang it on the wall. Take care to hang the rakes, brooms, and loose garden tool on the wall, so that they are above the floor. 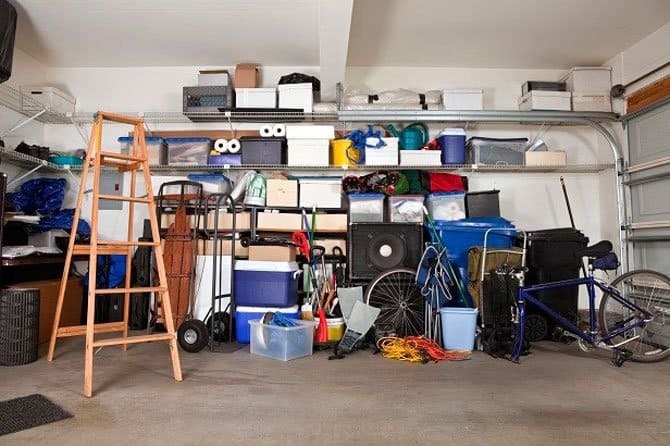 Although your garage has a tight space and tripping hazards, inadequate lighting makes it a storehouse of the accident by slipping, sliding or dashing. For full illumination of the garage, put additional fixtures of light on work areas as well as on stairs. Use bulbs of highest wattage and protect them with metal or metal cage guards. Don’t keep the garage opened or unlocked because teens tend to intrude into the garage in search of beer or chemicals they can inhale. Therefore, secure the garage doors and windows by installing deadbolts. For a yet effective result, ensure that automatic doors are fitted with a device for stopping the door or reversing it when it contacts an object. As a part of the garage safety, always go in for the best﻿ garage heater. The Heater Efficiency determines the quality and performance of a heater. You can calculate the heater efficiency by following an actual calculation. If your energy bill is 7.53 cent per kWh and your consumption is 5000 watt, then 7.53 x 5kWx1 hours works out to 37.65 cents per running the heater. Its effective warming area is 500 sq feet, and it raises the temperature to over 40 degrees. It can be mounted on wall and ceilings by a hanging bracket attached to it for the quicker setting. It consumes 5,000 watts. It can heat an area covering 400 sq feet and consumes 4000 watts of heating power. It can be mounted on the ceiling or can leave on the floor. Its casing and blades are corrosion resistant. It maintains a consistent temperature. It is an infrared heater that is specifically designed for garage, workshop, and basement. It is lightweight, compact and is portable. It can heat a larger area up to 1,000 sq feet and has an LCD. With two speed fan, it can build up temperature up to 90 degrees Fahrenheit. For choosing the best vacuum, you should consider two important features; namely, the size of the tank and the strength of the motor. 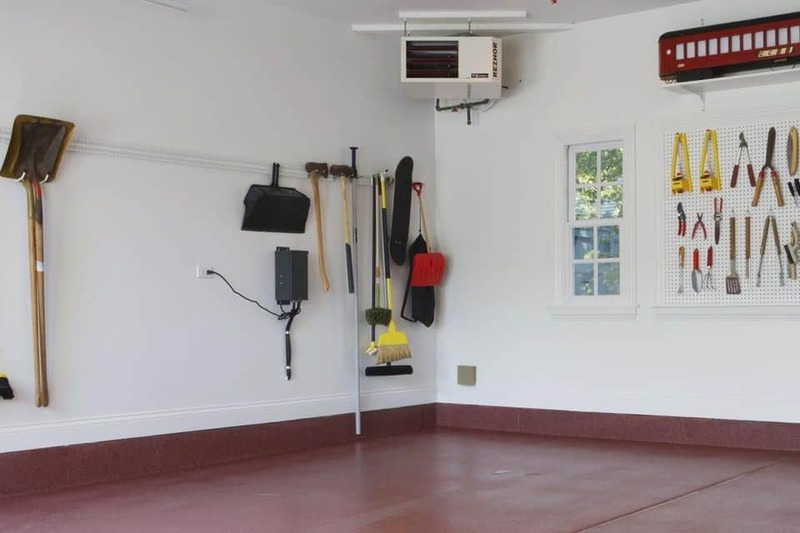 For your garage, you should prefer a larger tank. However, if you are to climb the stair, the smaller tank should be preferred. For covering longer distance, opt for the one coming with the cord of 10 feet long. 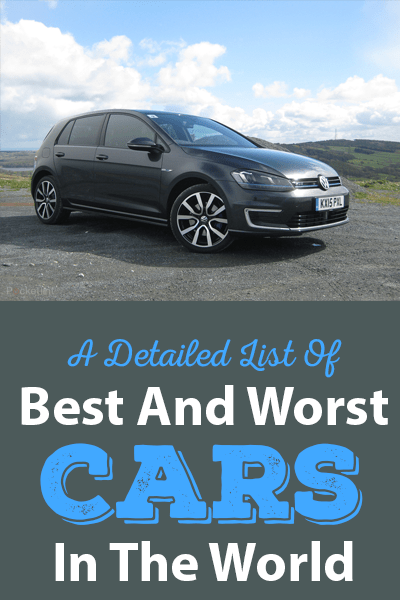 When it comes to the safety of your car, you should give equal importance to the situations when it is on the road and also when it is inside the garage. If you take adequate safety measures for your garage safety, you are also ensuring safety for those that are connected to the garage in some way or other.